Founded in 1839 with the mission to collect, examine and teach Georgia and American history through education and research. In the spring of 1839, three Savannahians—Episcopal divine William Bacon Stevens, renowned autograph collector Israel K. Tefft, and educator, scientist, and American Medical Association founder Dr. Richard D. Arnold—hatched the idea of an organization whose mission would be to “collect, preserve, and diffuse the history of the State of Georgia in particular, and of America generally.” In May of that year they held the first meeting of what was christened the “Georgia Historical Society,” the tenth state society founded in America (Massachusetts was first) and today the oldest continuously operated historical institution in the South. Within a few months membership had spread down the coast and as far west and north as Macon. The 85 charter members, who in December 1839 petitioned the Georgia General Assembly for articles of incorporation, read like a “who’s who” of Georgia society and included some of the most distinguished and progressive (for that time) leaders in the state. In addition to the original triumvirate of Stevens, Tefft, and Arnold, there were politicians like Congressman Eugene A. Nesbit and future U. S. Supreme Court Justice James Moore Wayne; Sea Island planters Thomas Butler King and James Hamilton Couper; and intellectuals like Augustus A. Smets, George White, and William A. Caruthers. The first president was John Macpherson Berrien, U.S. Senator and Attorney General of the United States under President Andrew Jackson. To forge a link between themselves and the earliest days of the state, the founders adopted as the Society’s logo the old colonial seal used by Georgia’s founding trustees. And to demonstrate their commitment to public service, they took as a motto the latin phrase employed by the trustees more than a century earlier: “Non Sibi, Sed Aliis” – not for self, but for others. As a non-university research and educational institution, the Georgia Historical Society has collected, preserved, and shared some of the most important documents, rare books, maps, photographs, and artifacts that tell the story of our state’s journey through time. The cornerstones of the collection are Hodgson Hall, the National Historic Landmark building that serves as the GHS Research Center, and the impressive group of manuscripts, rare books, and archival materials housed in the adjacent Abrahams Archival Annex. The collection includes over 5 million manuscripts, 100,000 photographs, 30,000 architectural drawings, 15,000 books, and thousands of maps, newspapers, portraits, and artifacts. The papers of many influential Georgians, including Griffin Bell, Vince Dooley, Benjamin Hawkins, Helen Dortch Longstreet, Juliette Gordon Low, and Bernie Marcus, are held in the society’s collections. Perhaps the most significant document in the collection is an original draft copy of the U.S. Constitution that belonged to Abraham Baldwin, a Georgia delegate to the national constitutional convention of 1787. In addition to housing the oldest collection of Georgia materials in the nation, the Society has an impressive list of programs, publications, and other activities that make cutting-edge scholarship available to a wide public audience. These include the scholarly journal The Georgia Historical Quarterly; the history newsmagazine Georgia History Today; lectures by noted historians and authors; membership programs and tours; statewide assistance in preserving local history through its Affiliate Chapter Program, the Georgia Historical Marker Program, including the Civil War 150 Project, the Georgia Civil Rights Trail, and the Georgia Business History Initiative; the Georgia History Festival, the Society’s annual K-12 education program; and the Georgia Trustees. As an honor older than Georgia itself, the Georgia Trustees, revived in 2009 in conjunction with the Office of the Governor, recognizes contemporary Georgians whose accomplishments and community service reflect the highest ideals of the founding body of Trustees, which governed the colony from 1732 to 1752. It is the highest honor the state can bestow. Georgia Trustee inductees include Hank Aaron, Vince Dooley, Bernie Marcus, Marguerite Neel Williams, Sam Nunn, Arthur Blank, Ted Turner, Tom Cousins, Herman Russell, Truett Cathy, Billy Payne, Andrew Young, Paula Wallace, Alana Shepherd, Muhtar Kent, and James Blanchard. The Georgia Trustees are appointed every year in February at the GHS Trustees Gala in Savannah. In 2010 the Georgia Historical Society opened an office in Atlanta and in 2014 it expanded its Savannah campus through the edition of the Jepson House Education Center. Originally built in 1856, the 8,000 square foot mansion today houses the programming, administrative, and executive offices of the Society. This capital expansion in Atlanta and Savannah ensures that the Georgia Historical Society will continue to promote research and education as the institution approaches its third century of service to the people of Georgia and the nation. 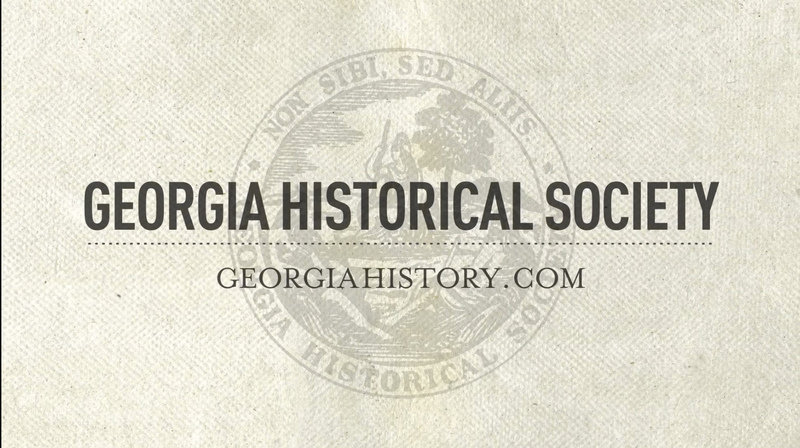 For more information on the history of the Georgia Historical Society click here.